An art historian and inspirational writer team up to present sixty striking historic works of art that represent the rich tradition of biblical depiction. A true feast for eye and heart! 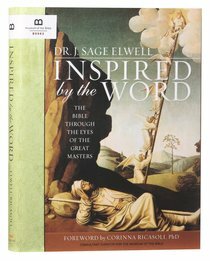 About "Inspired By the Word: The Bible Through the Eyes of the Great Masters"
Combined expertise of a well-known art historian with a gifted inspirational writer brings each of these sixty beautifully depicted scenes to life. Short, inspirational reflections offer insight into the art, including the historical and cultural context and biblical background. Thought-provoking daily readings help readers interact with art pieces from ancient mosaics to medieval tapestries, from folk designs to acclaimed masterpieces.